John Ruskin described drawing as the ‘pictorial expression of thought’. 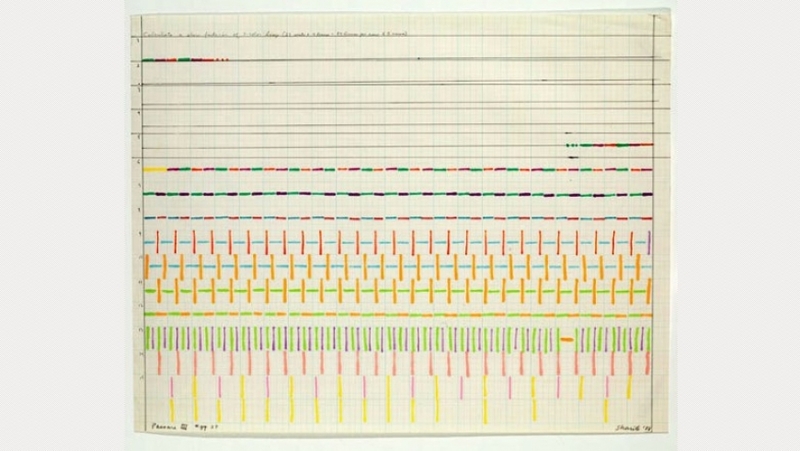 In this exhibition of works from the collection of mima (Middlesbrough Institute of the Arts) are presented drawings by several key artists of post war America, many of whom are best known for working in three dimensions – be it in film (Paul Sharits), land art (Robert Smithson and Michael Heizer) or sculpture and installation (Stephen Antonakos, Fred Sandback, Robert Gober). The drawings show evidence of the artists using drawing to develop their ideas, consider the use of space and to mark time. Shown alongside Aeneas Wilder’s Untitled #162, a structure formed from virtually identical linear sections of wood, the works compel us to consider the continuing importance of drawing to artists’ practice in making the transition from a concept to its realisation in three dimensions. Other artists represented in the collection are Robert Breer, Nathan Carter, Adrian Piper, Al Taylor, James Lee Byars, Jack Whitten and Horacio Zabala. This collection of American drawings was presented to mima by the Art Fund under Art Fund International. To hear an interview between writer and curator, Deanna Petherbridge, and Mead Gallery Curator, Sarah Shalgosky, about the exhibition, please click on the icon to the right of the page. Teachers Notes are available for all Mead exhibitions and can be downloaded by clicking on the icon to the right of the screen.